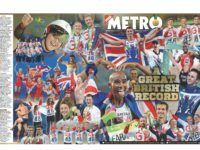 The Times’s action in publishing a correction and apology in relation to an inaccuracy in a story about gambling addiction was sufficient remedy for a complaint over accuracy upheld by IPSO. 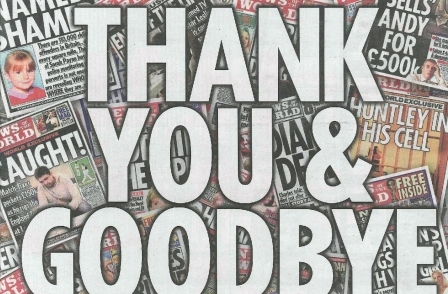 The Association of British Bookmakers had complained to the press regulator that the newspaper had breached clause 1 in articles headlined “Doctors prescribe drugs to tackle Britain’s gambling epidemic”, “Violence, debt and devastation brought by the spin of a wheel”, and “Betting Burden”, which were published in print and online on February 17. The front-page article said gambling had become such a problem in Britain that the NHS had started prescribing “£10,000-a-year drugs for some of the worst addicts”, that there were more than half a million “problem gamblers” in Britain, and that calls to Britain’s leading helpline had increased by more than a third in the last year. The second piece was a double-page spread comprising four articles, the first of which reported that fixed-odds betting terminals (FOBTs) had “spread like cancer”, with users able to place bets of up to £100 every 20 seconds; that last year more than 30,000 users were banned from betting shops because their gambling was out of control; and there had been an “epidemic of violence in shops”. A second article said organised criminal gangs were using FOBTs to launder money, the third said experts feared a rise in gambling addiction because of the “huge increase” in advertising, and the final piece said that the Responsible Gambling Trust, Britain’s leading charity to minimise gambling addiction, which is funded by bookmakers, had been accused of taking a “sympathetic approach to the industry”. The third item under complaint was a comment piece in which the newspaper said governments were failing to address the problem of gambling with “sufficiently robust regulation”. The Association of British Bookmakers said the newspaper misleadingly suggested that the NHS was generally prescribing Naltrexone to problem gamblers – it had not made clear that this was only part of a pilot scheme, and that it inaccurately reported, three times in its coverage, that the drug cost the NHS £10,000 to prescribe. It noted that the newspaper had published a correction to address this inaccuracy, but this appeared in the Corrections and Clarifications box on page 28, which it said was not sufficiently prominent. The association raised a series of concerns about the coverage, saying it was inaccurate to say there was a “gambling epidemic”, and disputing that crime and violence had followed the spread of FOBTs as they were used to launder money. It was concerned that although it was approached for comment before publication, it was given less than 24 hours to respond, that it was not informed of the extent of the coverage, or that an article would appear as the lead on the front page. It also considered that although the newspaper had published its letter setting out its position on the claim that there was a “gambling epidemic”, it was not given fair opportunity to reply to the significant inaccuracies that it had published in the first instance. 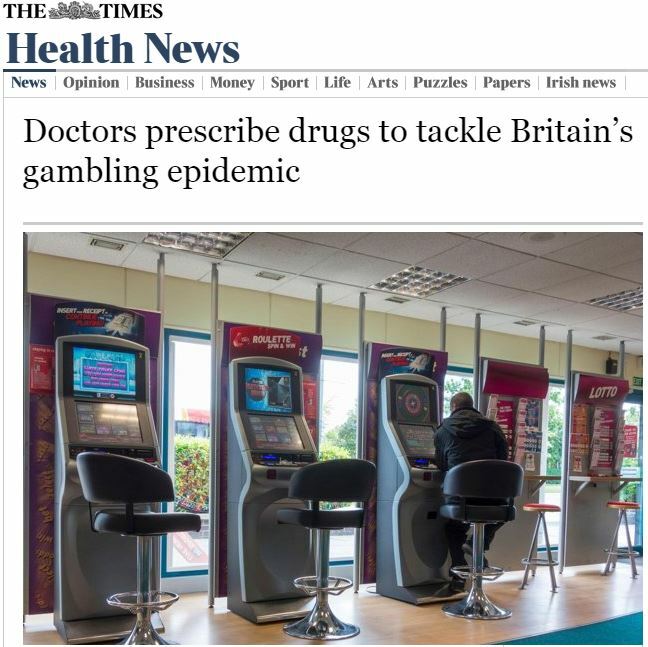 On the Naltrexone issue, the newspaper said the NHS had started medicating problem gamblers as part of a pilot scheme, administered by the National Problem Gambling Clinic, and that at no point had it suggested that the drug was being prescribed more widely. But it accepted that an error was made in relation to the cost of the drug, which, in tablet form, cost cost £68 for a three-month course. This error was immediately been corrected online, and a correction and apology was printed in its regular Corrections box on page 28. In addition, the day after the report was published, it published a letter from the association setting out its position that a 2012 Health Survey had found that levels of problem gambling had remained relatively constant for the past 13 years. Ipso’s complaints committee said it was accepted that the newspaper inaccurately stated that Naltrexone was being prescribed to gambling addicts at a cost to the NHS of £10,000 a year. The inaccurate price was stated in the first line of the front-page article, was repeated on page two, and it was a fact relied upon in a leader discussing the “burden” that gambling presented to the UK. The newspaper obtained the price of the drug in injection form from a university research paper published in the United States, but failed to check the form that the drug was being prescribed in the UK, and so incorrectly reported its cost. This represented a failure to take care over the accuracy of the coverage in breach of Clause 1 (i). The inaccuracy had given a significantly misleading impression of the cost of gambling addiction on the NHS, so a correction was required. The day after the inaccuracy was published, and immediately after it was notified, the newspaper published a correction in its Corrections and Clarifications box, which made clear that Naltrexone was prescribed to NHS patients in tablet form at a cost of £68 for a three-month course, and not £800 a month for intravenous drugs, as reported. The correction had also included an apology. With the exception of the leader article, which due to an oversight was amended during Ipso’s investigation, the newspaper also immediately amended the relevant online articles and appended corrective footnotes to them. The committee considered that the newspaper’s prompt action to address the inaccuracy was sufficient to meet the requirement of Clause 1 (ii). The newspaper’s Corrections and Clarifications box, which always appeared on its letters page, was a well-established and recognised location for the publication’s corrections, and publication of the print correction in that position was sufficiently prominent. The committee did not consider that the newspaper gave the misleading impression that Naltrexone was being prescribed by the NHS generally – it accurately stated that “the NHS has started prescribing…drugs for some of the worst addicts”, which had not implied that the drug was widely available. On the “gambling epidemic” complaint, the committee said the newspaper was entitled to rely on the last Gambling Prevalence Survey, carried out in 2010, and to publish its opinion that the increase in both the size of the industry and problem gambling was significant and represented an “epidemic”; this characterisation was not misleading. The committee also noted that the newspaper had reported the association’s position that it “was unaware of any evidence that problem gambling had increased”. The newspaper had not given a significantly misleading impression of the prevalence of money laundering in betting shops, the committee said.